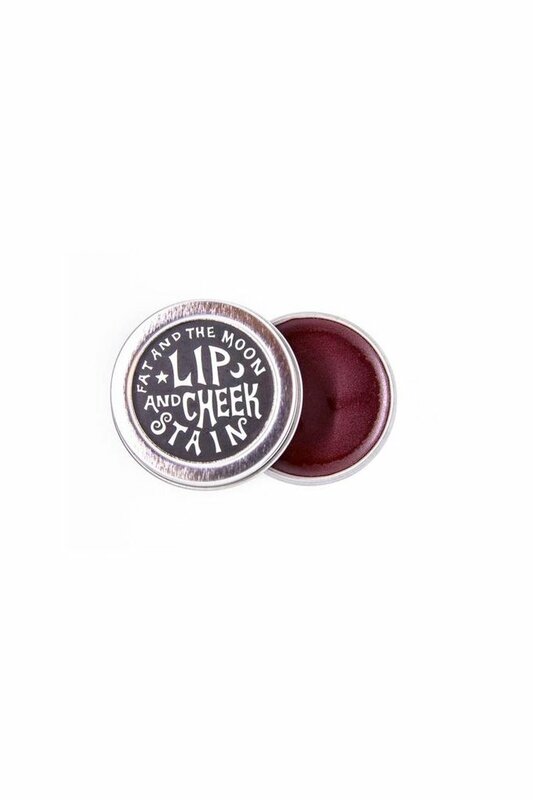 Lip + Cheek Stain - Wildland Supply Co. Fat and the Moon Lip + Cheek stain is the perfect color--not too pink, a little red wine-y, a little black berry-y--and free of heavy metal-based color. Alkanet and beet root give this stain its rich color and its mild and earthy scent, with just a touch of essential oil of rose geranium. Rose geranium is used in aromatherapy to reduce nervousness and tension and has mild antibacterial, astringent and anti-inflammatory properties, which all aid in the overall health of the skin. A little dab of this stuff on the apples of your cheeks and on your lips adds just the right dose of color. Because of the beeswax, this stain has great staying power. Put a little on for a subtle effect or more for a lipstick-like look.